Martin Brudnizki Studio recently specified Style Moderne bathroom fittings from Samuel Heath for new apartments in Soho, London. Samuel Heath’s Style Moderne bathroom fittings have been used by Martin Brudnizki Design Studio (MBDS) throughout new apartments in the heart of London’s vibrant Soho region. The newly-constructed six-storey investment project consists of sixteen apartments on the first four storeys and two penthouse suites on the fifth and sixth floors, with a total of 25 bathrooms incorporated in the apartments. Residents also benefit from underground parking and a ground floor lobby with a concierge reception desk. Common areas of the building are redolent of the elegance and sophistication of the Art Deco period, featuring a combination of glass and brass metalwork for the staircase balustrades and padded leather panelling in teal to the walls. High quality apartment entrance doors finished in dark stained oak complete the look, creating a first impression of affluence and quality without appearing ostentatious. Apartment interiors take their inspiration from modern loft living with timber flooring and open-plan kitchen and living areas, whilst incorporating traditional elements in architectural details and the profiles of kitchen units and doors. 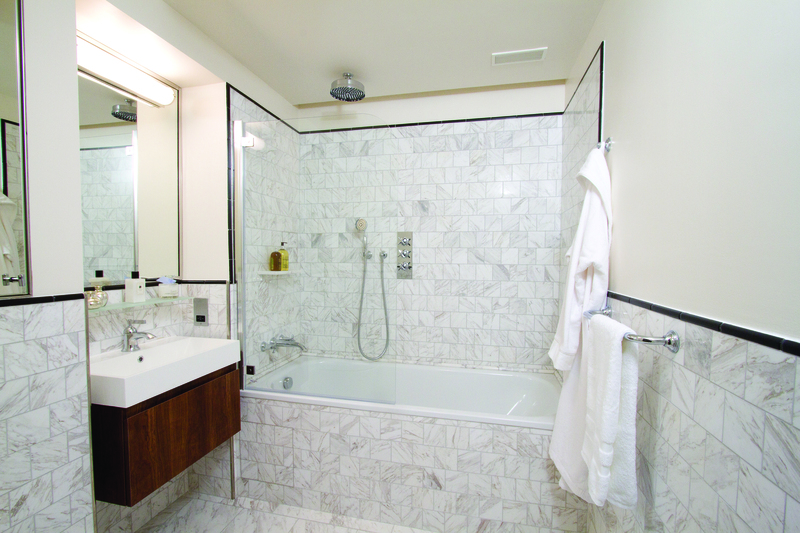 Six different bathroom types feature throughout the development, including basins, shower cubicles, walk-in showers and baths according to apartment layouts. MBDS adopted an identical design style in each, with white sanitaryware, dark wood furniture and white Volakas marble to walls and floors, selected for its warm colour tones. Overall, the building exudes a contemporary feel with simple, classic elements inspired by Art Deco design principles. This mood is extended into the bathrooms, through the sanitaryware and use of Samuel Heath’s Style Moderne bathroom fittings. 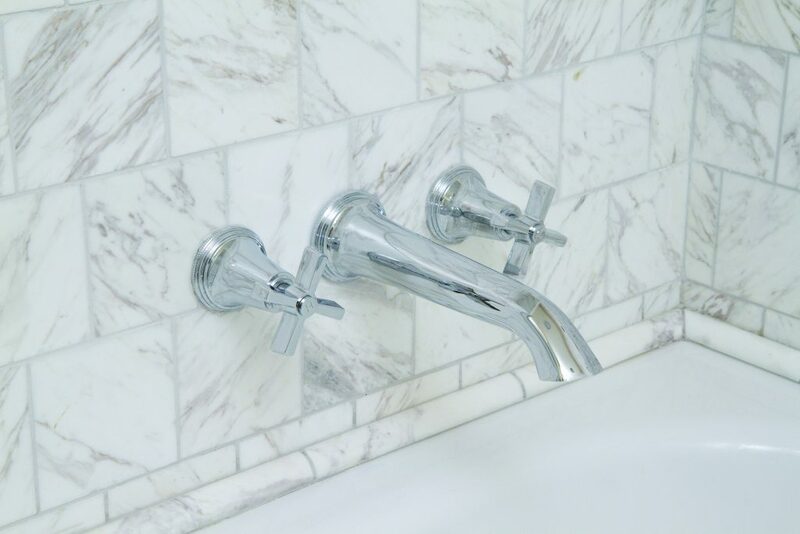 Style Moderne proved ideal for Richmond Buildings; the choice of fittings enabled the designers to maintain a consistent style throughout all apartment bathrooms, with taps, showers and bath fillers co-ordinating perfectly. 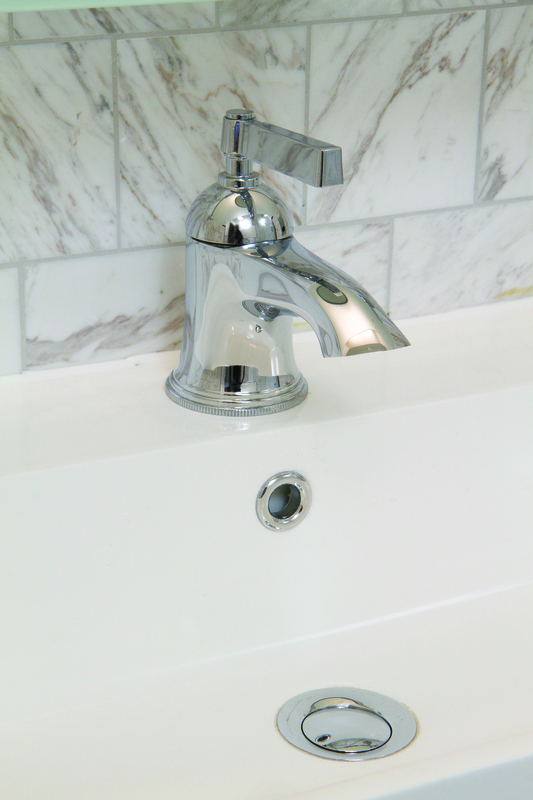 From the design perspective, Style Moderne’s smooth, modern profiles complemented the simplicity of the bathrooms, whilst the fine detailing incorporated around its backplates and roses help to create a classic appearance, which exudes quality. 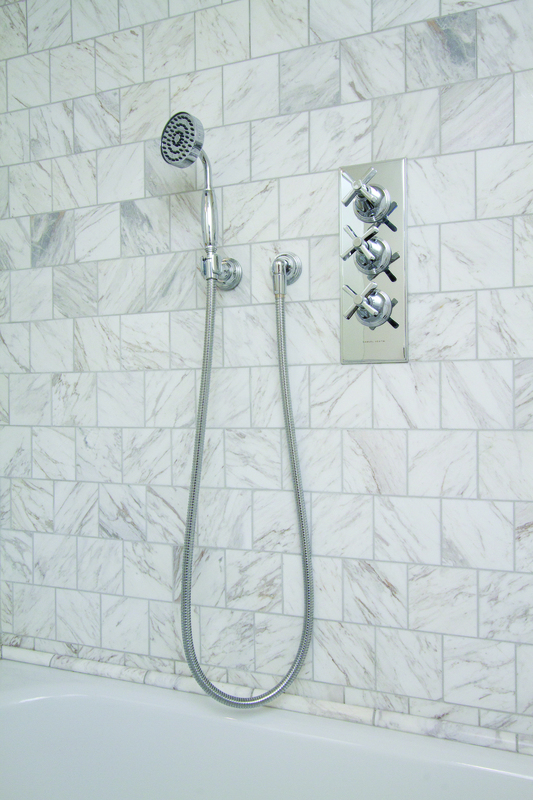 The understated elegance and clean lines of the bathrooms were enhanced by the use of concealed shower valves, with shower controls mounted on a single backplate. 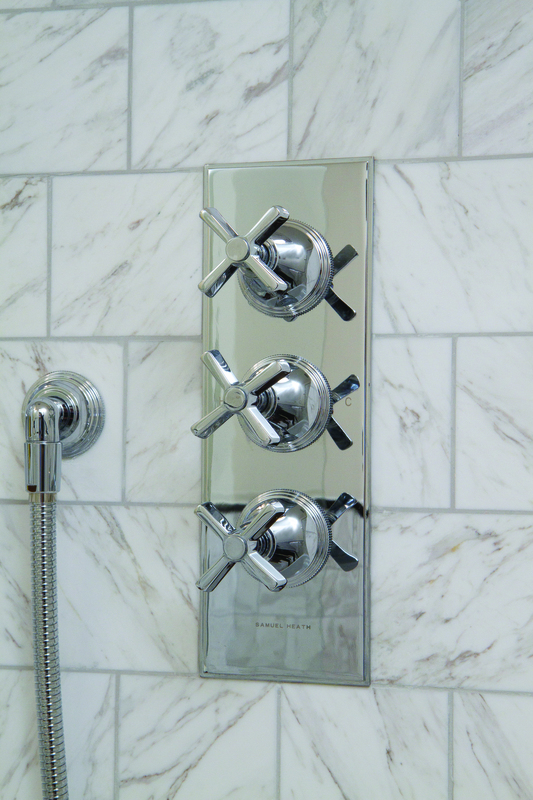 Cross top controls were selected for taps and showers, adding a strong geometric note and emphasising the sleek, elegant style of the Art Deco-inspired ambience of the building. Style Moderne is a highly distinctive collection of taps, showers and complementary bathroom accessories inspired by the grace and glamour of the Art Deco period of the 1920’s and 1930’s. Its clearly defined lines, enhanced geometric shapes and stepped details make it ideal for a wide variety of bathroom styles, from the traditional to the contemporary. Details and stockists for Style Moderne and the full range of Samuel Heath bathroom fittings can be obtained from the company’s showroom at Design Centre Chelsea Harbour.